But I was lucky, and that, I believe, made all the difference. —Stanley Fish. “My Life Report” 31 October 2011, New York Times. Pfc. Bowe Bergdahl, United States Army, is the subject of the new season of Serial, the National Public Radio show that tells “One story. Week by week.” as the advertising tagline has it. NPR is doing a show about Bergdahl because of what Bergdahl chose to do on the night of 30 June 2009: as Serial reports, that night he walked off his “small outpost in eastern Afghanistan and into hostile territory,” where he was captured by Taliban guerrillas and held prisoner for nearly five years. Bergdahl’s actions have led some to call him a deserter and a traitor; as a result of leaving his unit Bergdahl faces a life sentence from a military court. But the line Bergdahl crossed when he stepped beyond the concertina wire and into the desert of Paktika Province was far greater than the line between a loyal soldier and a criminal. When Bowe Bergdahl wandered into the wilderness, he also crossed the line between the sciences and the humanities—and demonstrated why the political hopes some people place in the humanities is not only illogical, but arguably holding up actual political progress. Bergdahl can be said to have crossed that line because what happens to him when he is tried by a military court regarding what happened will, likely, turn on what the intent behind his act was: in legal terms, this is known as mens rea, which is Latin for “guilty mind.” Intent is one of the necessary components prosecutors must prove to convict Bergdahl for desertion: according to Article 85 of the Uniform Code of Military Justice, to be convicted of desertion Bergdahl must be shown to have had the “intent to remain away” from his unit “permanently.” It’s this matter of intent that demonstrates the difference between the humanities and the sciences. Suppose you’re looking at a rock formation and see in it what seems to be the word ‘help.’ You look more closely and decide that, no, what you’re seeing is an effect of erosion, random marks that just happen to resemble an English word. The moment you decide that nature caused the effect, you will have lost all interest in interpreting the formation, because you no longer believe that it has been produced intentionally, and therefore you no longer believe that it’s a word, a bearer of meaning. To put it another way, matters of interpretation concern agents who possess intent: any other kind of discussion is of no concern to the humanities. Conversely, the sciences can be said to concern all those things not produced by an agent, or more specifically an agent who intended to convey something to some other agent. It’s a line that seems clear enough, even in what might be marginal cases: when a beaver builds a dam, surely he intends to build that dam, but it also seems inarguable that the beaver intends nothing more to be conveyed to other beavers than, “here is my dam.” More questionable cases might be when, say, a bird or some other animal performs a “mating dance”: surely the bird intends his beloved to respond, but still it would seem ludicrous to put a scholar of, say, Jane Austen’s novels to the task of recovering the bird’s message. That would certainly be overkill. Yes yes, you will impatiently say, but what has that to do with Bergdahl? The answer, I think, might be this: if Bergdahl’s lawyer had a scientific, instead of a humanistic, sort of mind, he might ask how many soldiers were stationed in Afghanistan during Bergdahl’s time there, and how many overall. The reason a scientist would ask that question about, say, a flock of birds he was studying is because, to a scientist, the overall numbers matter. The reason why they matter demonstrates just what the difference between science and the humanities is, but also why the faith some place in the political utility of the humanities is ridiculous. The reason why the overall numbers of the flock would matter to a scientist is because sample size matters: a behavior that one bird in a flock of twelve birds exhibited is probably not as significant as a behavior that one bird in a flock of millions exhibited. As Nassim Taleb put it in his book, Fooled By Randomness, how impressive it is if a monkey has managed to type a verbatim copy of the Iliad “Depends On The Number of Monkeys.” “If there are five monkeys in the game,” Taleb elaborates, “I would be rather impressed with the Iliad writer”—but if, on the other hand, “there are a billion to the power one billion monkeys I would be less impressed.” Or to put it in another context, the “greater the number of businessmen, the greater the likelihood of one of them performing in a stellar manner just by luck.” What matters to a scientist, in other words, isn’t just what a given bird does—it’s how big the flock was in the first place. To a lawyer, of course, none of that would be significant: the court that tries Bergdahl will not view that question as a relevant one in determining whether he is guilty of the crime of desertion. That is because, as a discipline concerned with interpretation, such a question will have been ruled out of court, as we say, before the court has even met: to consider how many birds in the flock there were when one of them behaved strangely, in other words, is to have a priori ceased to consider that bird as an agent because when one asks how many other birds there are, the implication is that what matters more is simply the role of chance rather than any intent on the part of the bird. Any lawyer that brought up the fact that Bergdahl was the only one out of so many thousands of soldiers to have done what he did, without taking up the matter of Bergdahl’s intent, would not be acting as a lawyer. By the way, in case you’re wondering, roughly 65,000 soldiers were in Afghanistan by early October of 2009, behind the “surge” ordered by President Barack Obama shortly after taking office. The number, according to a contemporary story by The Washington Post, would be “more than double the number there when Bush left office,” which is to say that when Bergdahl left his tiny outpost at the end of June that year, the military was in the midst of a massive buildup of troops. The sample size, in Taleb’s terms, was growing rapidly at that time—with what effects on Bergdahl’s situation, if any, I await enlightenment, if there be any. In that story, the intent of the monkeys hardly matters. Walt Whitman once said, as anyone who saw Bull Durham knows, that baseball would function to draw America together after the Civil War: the game, the poet said, would “repair our losses and be a blessing to us.” Many Americans have not lost this belief in the redemptive power of sports: as recently as 2011 John Boehner, then-Speaker of the House of Representatives, played a much-ballyhooed round of golf with President Barack Obama—along with many other outlets, Golf Digest presented the event as presaging a new era of American unity: the “pair can’t possibly spend four hours keeping score, conceding putts, complimenting drives, filling divots, retrieving pond balls, foraging for Pro V1s and springing for Kit Kats off the snack cart,” argued the magazine, “without finding greater common ground.” Golf would thusly be the antidote to what the late Columbia University history professor Richard Hofstadter, in 1964, called the “paranoid style”: the “heated exaggeration, suspiciousness, and conspiratorial fantasy” that Hofstadter found to be a common theme in American politics then and whose significance has seemingly only grown since. Yet, while the surface approval of the “golf summit” seemed warranted because golf is, after all, a game that cannot really be played without trust in your opponents—it’s only on the assumption that everyone is honest that the game can even work—as everyone knows by now the summit failed: Boehner was, more or less, forced out of office this summer by those members of his party who, Boehner said, got “bent out of shape” over his golf with the president. While golf might, in other words, furnish a kind of theoretical model for harmonious bipartisanship, in practice it has proved largely useless for preventing political polarization—a result that anyone who has traveled Highway 107 in western North Carolina might have realized. Up there, among the Great Smoky Mountains, there sits a counterexample to the dream of political consensus: the Wade Hampton Golf Club. One of the examples of “paranoia” Hofstadter cited, in other words, was the belief held by “certain spokesmen of abolitionism who regarded the United States as being in the grip of a slaveholders’ conspiracy”—a view that, Hofstadter implied, was not much different than the contemporary belief that fluoridation was a Soviet plot. But a growing number of historians now believe that Hofstadter was wrong about those abolitionists: according to historian Leonard Richards of the University of Massachusetts, for instance, there’s a great deal of evidence for “the notion that a slaveholding oligarchy ran the country—and ran it for their own advantage” in the years prior to the Civil War. The point is more than an academic one: if it’s all just a matter of belief, then the idea of bipartisanship makes a certain kind of sense; all that matters is whether those we elect can “get along.” But if not, then that would suggest that what matters is building the correct institutions, rather than electing the right people. Again, that seems like rather more question than the existence of a golf club in North Carolina seems capable of answering. 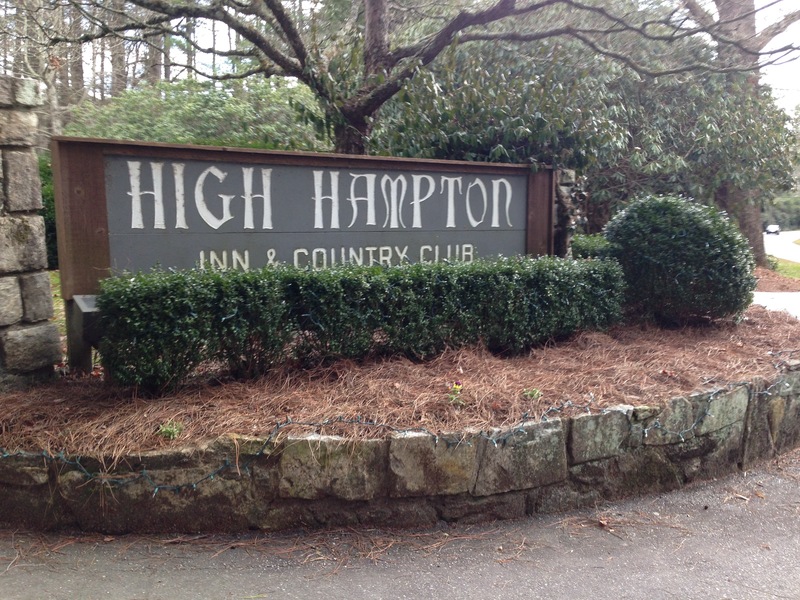 The existence of the Wade Hampton Golf Club however tends to reinforce Richards’ view if, for nothing else, on its name alone: the very biography of the man the golf club was named for, Wade Hampton III, lends credence to Richards’ notion about the real existence of a slave-owning, oligarchical conspiracy because Hampton was after all not only a Confederate general during the Civil War, but also the possessor (according to the website for the Civil War Trust, which attempts to preserve Civil War battlefields) of “one of the largest collections of slaves in the South.” Hampton’s career, in other words, demonstrates just how entwined slaveowners were with the “cause” of the South—and if secession was largely the result of a slave-owning conspiracy during the winter of 1860, it becomes a great deal easier to think that said conspiracy did not spring fully grown only then. Descended from an obscenely wealthy family whose properties stretched from near Charleston in South Carolina’s Lowcountry to Millwood Plantation near the state capital of Columbia and all the way to the family’s summer resort of “High Hampton” in the Smokies—upon the site of which the golf club is now built—Wade Hampton was intimately involved with the Southern cause: not only was he one of the richest men in the South, but at the beginning of the war he organized and financed a military unit (“Hampton’s Legion”) that would, among other exploits, help win the first big battle of the war, near the stream of Bull Run. By the end of the war Hampton became, along with Nathan Bedford Forrest, the only man without prior military experience to achieve the rank of lieutenant general. In that sense, Hampton was exceptional—only eighteen other Confederate officers achieved that rank—but in another he was representative: as recent historical work shows, much of the Confederate army had direct links to slavery. As historian Joseph T. Glatthaar has put the point in his General Lee’s Army: From Victory to Collapse, “more than one in every four volunteers” for the Confederate army in the first year of the war “lived with parents who were slaveholders”—as compared with the general population of the South, in which merely one in every twenty white persons owned slaves. If non-family members are included, or if economic connections like those to whom soldiers rented land or sold crops prior to the war are allowed, then “the vast majority of the volunteers of 1861 had a direct connection to slavery.” And if the slaveowners could create an army that could hold off the power of the United States for four years, it seems plausible they might have joined together prior to outright hostilities—which is to say that Hofstadter’s insinuations about the relative sanity of “certain” abolitionists (among them, Abraham Lincoln) don’t have the same value as they may once have. After all, historians have determined that the abolitionists were certainly right when they suspected the motives of the slaveowners. “By itself,” wrote Roger Ransom of the University of California not long ago, “the South’s economic investment in slavery could easily explain the willingness of Southerners to risk war … [in] the fall of 1860.” “On the eve of the war,” as another historian noted in the New York Times, “cotton comprised almost 60 percent of America’s exports,” and the slaves themselves, as yet another historian—quoted by Ta-Nehisi Coates in The Atlantic—has observed, were “the largest single financial asset in the entire U.S. economy, worth more than all manufacturing and railroads combined.” Collectively, American slaves were worth 3.5 billion dollars—at a time when the entire budget for the federal government was less than eighty million dollars. Quite literally, in other words, American slaveowners could buy the entire U.S. government roughly forty three times over. Slaveowners thusly had, in the words of a prosecutor, both means and motive to revolt against the American government; what’s really odd about the matter, however, is that Americans have ever questioned it. The slaveowners themselves fully admitted the point at the time: in South Carolina’s “Declaration of the Immediate Causes which Adduce and Justify the Secession of South Carolina from the Federal Union,” for instance, the state openly lamented the election of a president “whose opinions and purposes are hostile to slavery.” And not just South Carolina: “Seven Southern states had seceded in 1861,” as the dean of American Civil War historians James McPherson has put observed, “because they feared the incoming Lincoln administration’s designs on slavery.” When those states first met together at Montgomery, Alabama, in February of 1861 it took them only four days to promulgate what the New York Times called “a provisional constitution that explicitly recognized racial slavery”; in a March 1861 speech Alexander Stephens, who would become the vice president of the Confederate States of America, argued that slavery was the “cornerstone” of the new government. Slavery was, as virtually anyone who has seriously studied the matter has concluded, the cause motivating the Southern armies. If so—if, that is, the slaveowners created an army so powerful that it could hold off the power of the United States for four years, simply in order to protect their financial interests in slave-owning—it then seems plausible they might have joined together prior to the beginning of outright hostilities. Further, if there was a “conspiracy” to begin the Civil War, then the claim that there was one in the years and decades before the war becomes just that much more believable. And if that possibility is tenable, then so is the claim by Richards and other historians—themselves merely following a notion that Abraham Lincoln himself endorsed in the 1850s—that the American constitution formed “a structural impediment to the full expression of Northern voting power” (as one reviewer has put it)—and that thusly the answer to political problems is not “bipartisanship,” or in other words, the election of friendlier politicians, but rather structural reform. Such, at least, might be the lesson anyone might draw from the career of Wade Hampton III, Confederate general—in light of which it’s suggestive that the Wade Hampton Golf Club is not some relic of the nineteenth century. Planning for the club began, according to the club’s website, in 1982; the golf course was not completed until 1987, when it was named “Best New Private Course” by Golf Digest. More suggestive still, however, is the fact that under the original bylaws, “in order to be a member of the club, you [had] to own property or a house bordering the club”—rules that resulted, as one golfer has noted, in a club of “120 charter and founding members, all from below the Mason-Dixon Line: seven from Augusta, Georgia and the remainder from Florida, Alabama, and North Carolina.” “Such folks,” as Bradley Klein once wrote in Golfweek, “would have learned in elementary school that Wade Hampton III, 1818-1902, who owned the land on which the club now sits, was a prominent Confederate general.” That is, in order to become a member of Wade Hampton Golf Club you probably knew a great deal about the history of Wade Hampton III—and you were pretty ok with that. 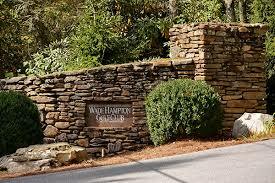 The existence of the Wade Hampton Golf Club does not, to be sure, demonstrate a continuity between the slaveowners of the Old South and the present membership of the club that bears Hampton’s name. It is, however, suggestive to think that if it is true, as many Civil War historians now say, that prior to 1860 there was a conspiracy to maintain an oligarchic form of government, then what are we to make of a present in which—as former Secretary of Labor Robert Reich recently observed—“the richest one-hundreth of one percent of Americans now hold over 11 percent of the nation’s total wealth,” a proportion greater than at any time since before 1929 and the start of the Great Depression? Surely, one can only surmise, the answer is easier to find than a mountain hideaway far above the Appalachian clouds, and requires no poetic vision to see.